The Grand Staircase Escalante National Monument is partly named for the Escalante River, which flows from Boulder Mountain to the Colorado River. Deep canyons and gorges have been carved over eons of time. These sandstone labyinths with unusual rock shapes and slot canyons offer some of the best hiking and backpacking in the world. When early geologist saw the series of cliffs and plateaus rising 6,000 feet from the Colorado River at the Grand Canyon to Bryce Canyon, they called it the Grand Staircase. Three billion years of geologic history make up the layers of sedimentary rocks. Each of the five “steps” has been eroded, revealing cliffs of distinctive color. Travelers can see the Grand Staircase from some of the viewpoints in Bryce Canyon. The new monument by Presidential Proclamation is a natural treasure of minerals, wildlife and plant life. It was home to the Anasazi Indians and remains of their civilization are scattered throughout the area. (Be sure to stop at the Anasazi Indian Village State Park in Boulder and tour the museum and exhibits). It is a place of breathtaking vistas, desert flowers, canyons and plateaus, and scenery that changes with every turn. It is a place of solitude. It is also a recreational paradise for outdoors enthusiasts offering hiking, backpacking, fishing, camping, horseback riding, ATV riding and mountain biking. Guided hikes and pack trips are available locally, as well as horseback riding, ATV, llama, and Jeep tours. 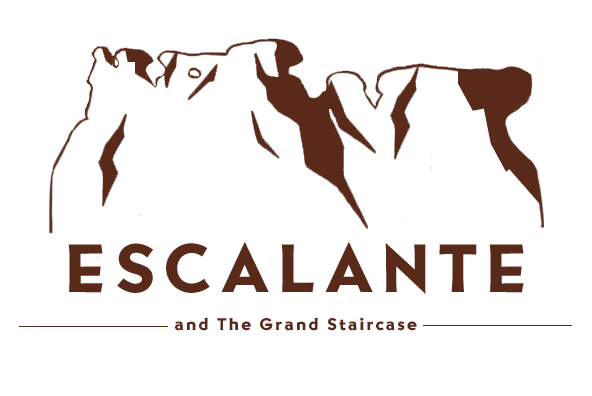 The Bureau of Land Management manages the Grand Staircase-Escalante National Monument. When planning to visit the monument, travelers should contact the Interagency Office in Escalante (801-826-4291). Current information on the monument, road conditions, maps, and hiking information is available. You can access the Monument through two main avenues of travel. Visitors are enchanted by beautiful Scenic Highway 12 in the northern portion of the Monument. In the southern portion, Highway 89 between Kanab, Utah and Page, Arizona offers spectacular vistas of the vermilion cliffs layer of the Grand Staircase geologic feature. Other roads that are partially surfaced include the Burr Trail (to Capitol Reef National Park) and Johnson Canyon (to the Skutumpah turn off). Gravel roads include the Glendale Bench road and a portion of Hole-in-the-Rock road. Driving conditions on sandy and clay roads, such as cottonwood (connecting Kodachrome State Park with Highway 89), Smoky Mountain, Skutumpah, and Croton depend on weather and current maintenance status. Please check current road conditions before traveling on these routes. Perhaps the best way to experience the diverse terrain of the Monument is to walk through it. Even though developed trails are nearly nonexistent, there are hundreds, if not thousands, of miles of outstanding hiking routs found in the Escalante Canyons, the upper Paria drainage, and other areas. Spring (March through May) and Fall (September through October) are usually the ideal times to hike or backpack. A good map and route finding abilities are a must. Self-register at established trailheads or obtain a free backpacking permit at the Interagency Office if backpacking in the Escalante region. Please leave no trace of your passing. Many of the principal roads to and through the Monument have been designated scenic backways. Highway 12 is widely recognized as one of the most scenic drives in the United States. Highway 89, along the southern boundary of the Monument between Kanab and Big Water offers outstanding views of the Vermilion Cliffs and the Kaiparowits Plateau. Six designated Back Country Backways along more primitive secondary roads provide an off-the-beaten-path adventure into the Monument. Two small, modestly developed campgrounds are open year-round on a first-come, first-served basis in the Monument. Calf Creek (13 sites) next to Highway 12 and Deer Creek (5 sites) along the Burr Trail have picnic tables, grills, and toilets. Water is available spring through fall at Calf Creek only. Nearby state parks, national forests, and commercial campgrounds in neighboring communities provide additional campground options. Backcountry camping at undeveloped campsites is allowed at certain areas of the Monument. Please observe minimum impact camping techniques to preserve the land. Camp at previously used sites, cook with a camp stove rather than an open fire, and locate your camp at least 300 feet from springs and other scant water sources. Proper disposal of human waste and packing out what you pack in will help to keep the backcountry clean. Hunting and fishing are traditional uses of the Monument’s lands and they will remain so under the management of the State of Utah Division of Wildlife Resources. Please inquire locally for seasons, licenses, and other regulations. An extensive network of primitive 4WD vehicle routs provides access to much of the Monuments backcountry. Please stay on established routes. Some roads may be closed for the protection of resources: please obey these closures. Respect private property and lands: leave gates open or closed as you find them. Whether you drive or hike the backcountry, please remember that, long before the arrival of Europeans, people have lived over much of the Southwest. Signs of these ancient cultures are found within the Monument in the form of ruins, petroglyphs, and potsherds. To the native peoples of the Southwest these sites have significance. Admire the ruins if you come across one, marvel at those long-gone people who lived in an often inhospitable environment, ponder our common humanity – but leave everything where it is. To do otherwise is not only disrespectful but it is also against the law. Given the remote, undeveloped nature of the Monument, guided adventures led by seasoned professional outfitters may be the best way for many to experience the Grand Staircase-Escalante. Many types of tours and activities, including hunting and fishing, bicycle treks, vehicle tours, and backcountry hiking trips, are offered by local outfitters and guides. Permits for overnight use can be obtained at the Escalante Interagency office, Anasazi Visitor Contact Station in Boulder, Kanab Resource Area in Kanab, Cannonville Visitor Contact Station Paria, and Paria Contact Station at Paria River. There are permits you can fill out at the trailhead boxes. There is no cost for the permits. Note: The permit will be used to monitor the number of visitors to the Monument. It will also be used for search and rescue in emergency situations. It is suggested to have two or more people in your back packing group, but not more than 12. Permits for Commercial use require a Special Recreation Permit. These can also be obtained at the listed Centers.